If you’re looking for luxury in Leeds, look no further than the regally named The Queens Hotel in City Square. 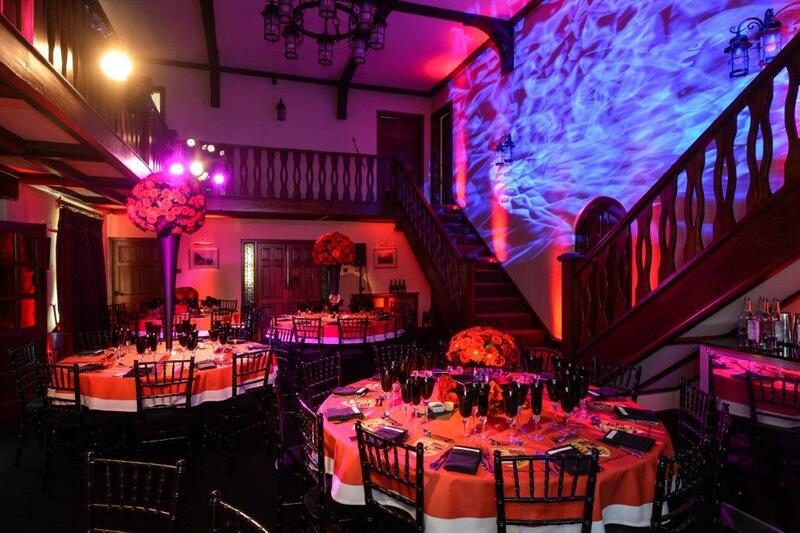 Built in 1937 this stunning Grade II listed Art Deco venue has an unrivalled position for access to the city. It offers direct access to Leeds train station via a private entrance from the station concourse. If you are travelling by car, the hotel also provides valet parking for a fee. Now part of Q Hotels, there is a dedicated floor for suites where guests can enjoy an exclusive QClub level experience. This includes a private lounge and rooftop terrace. 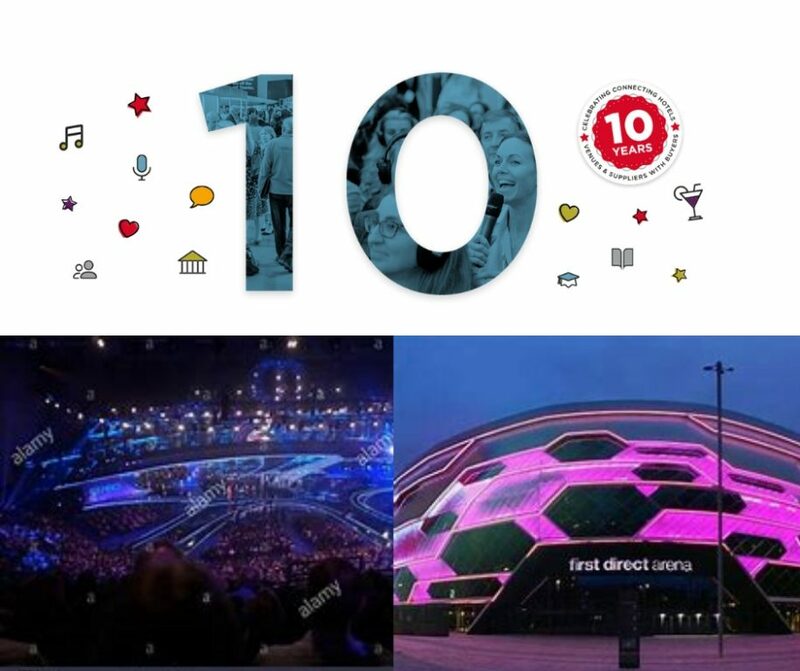 First Direct Arena is equipped to host all level of events. 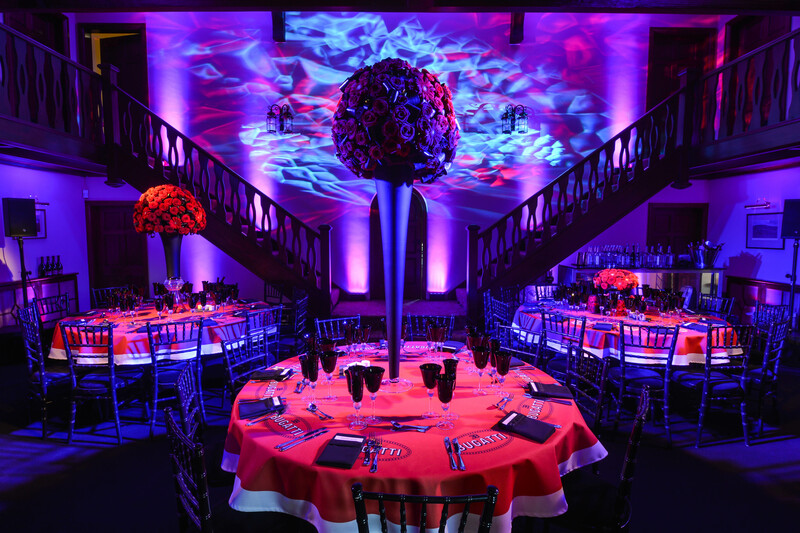 From comedy clubs to music mega stars like Cher and Rita Ora; sporting events such as Europe’s Strongest Man to major conferences such as the Conference and Hospitality Show. And let’s face it, if you’re going to invite the event planner industry in for a conference you’ve got to be good, because you’re sure to hear about it if you’re not. The stand-out feature for large conferences is the venue’s unique ‘super theatre’. This holds 12,000 people with all seats facing the stage. Depending on the size of event, the Arena also offers more intimate spaces for numbers as small as 10. Choose from classroom style facilities, boardrooms and exhibition space. Spring is here. As the weather warms up there is no better way to experience a new city than rising above it to get a full panoramic view. Angelica is a perfect spot to relax and enjoy luxury in Leeds. Located on the sixth floor of the Trinity Leeds Shopping Centre, the rooftop bar has a wraparound planted terrace for unrivalled city views. Every Saturday night the roof bounces the vibes of resident DJ club night Razamataz. The restaurant and terrace are also available for exclusive hire and can host between 20 and 160 guests. At Arnold’s the Yorkshire experience is central. 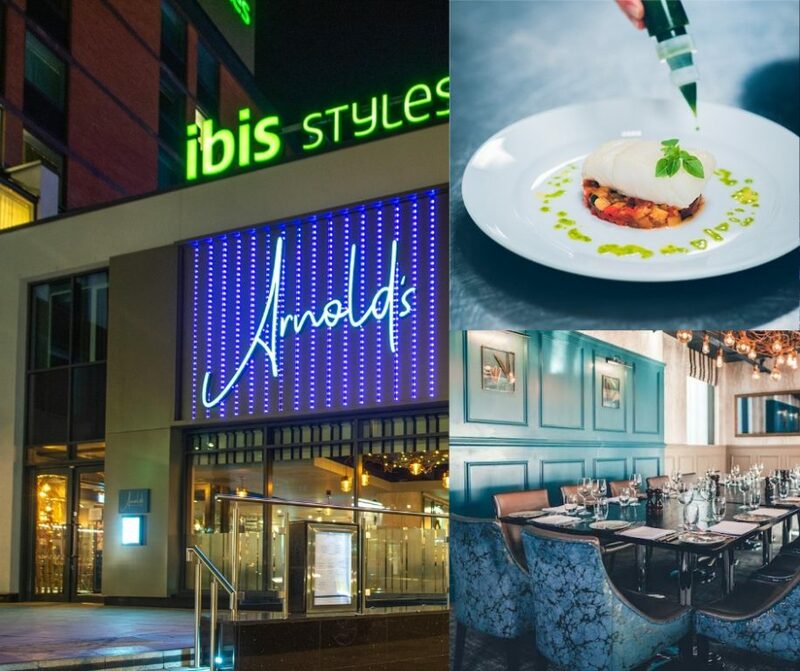 This independent restaurant, on Wade Lane in Leeds Arena Quarter, prides itself on serving locally sourced, seasonal produce, showcasing the very best of Yorkshire and British ingredients. The restaurant is available for full exclusive hire. There is also private dining available for up to 26 guests, with business facilities such as high-speed internet, hidden digital screen and full audio-visual equipment. 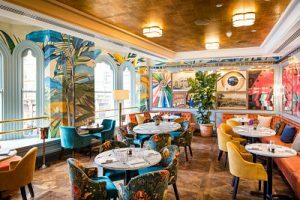 We also couldn’t leave out one of our favourite dining spots; The Ivy Victoria Quarter. We love their casual menus with unique interior and impeccable service. Popular with celebrities and social movers, The Ivy never fails to impress. You don’t have to journey far from Leeds to feel as if you are a world away from the hustle and bustle of the city. Leventhorpe Vineyard in Woodlesford is accessible by car, bus or train. Plus it is open most days for sales. Founded by George and Janet Bowden in 1985 the vineyard was the first to re-introduce commercial wine growing back into Yorkshire. The couple, who are members of the English Wine Producers, produce a range of award-winning wines. White, red and sparkling, both white and pink. All of which are made from grapes grown on site within their five-acre vineyard and produced in their purpose-built winery. Don’t be fooled, planning the perfect picnic party needs as much attention to detail as an indoor brunch. Picnic blankets are fine for little-ones or spontaneous outings. 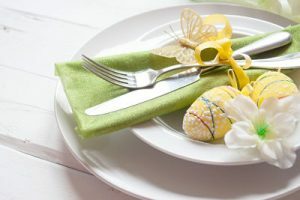 But if you’re inviting guests for an Easter brunch, you need to clean up the garden furniture and make sure you have somewhere comfortable for them to sit. Brightly coloured bean-bags on a large picnic blanket make for a more relaxed seating area, perfect for kids. When choosing accessories, pastel shades such as pink, baby blue, mint or pale green and lemon are a good choice. They combine well to create a fresh colour scheme for Spring and have a range of floral options to suit. For inexpensive decor, you can also use these colours in Easter bunting and balloons to give the event a festive party feel. Nothing looks more appealing than a crisp table cloth and fresh flowers on a bright spring morning. It is here where you can really add some personality to your brunch. Try bunny napkin folding for a family or children’s occasion. For a more adult celebration, add a splash of style with a series of small vases of colourful tulips lining the table. In between, use pretty holders (such a vintage cake stands) filled with colourful porcelain Easter eggs. Or go for one long , low trough to run down the centre of the table. This can be rustic wood or metal. or made of contemporary Perspex. Create a magical garden inside with a base of turf, then adding flowers to dress. Of simply fill the trough with a mixture of spring flowers or a display of planted daffodils. Eclectic tastes? Mix potted daffodils and tulips planted in tea pots, with pretty egg cups filled with painted wooden eggs. The different heights, shapes and textures work well to achieve a ‘no fuss’ look. For chocolate lovers, place a miniature basket of chocolate eggs on each place as a gift. Add a tag, and it does double duty as a name card. Or use an iced Easter bunny shaped biscuit as the place marker. Plastic and paper plates are fine. But for me, when it comes to cutlery, you should go with the real thing. Lovely silverware on each place is timeless and elegant. Add some coloured glassware to reflect your colour theme, and the table will be simple but stylish – the perfect combination for a brunch. The Easter brunch is so anticipated because it gives us a taste of what’s to come in summer. Nothing says this more than home-made lemonade. For little-ones this is a fantastic opportunity to get them involved, not only in making the thirst-quenching juice, but also in serving it. A lemonade or soft-drink stall also provides an additional space to decorate with your party theme and colours. For younger children juice cartons decorated as Easter bunnies are sure to bring a smile. 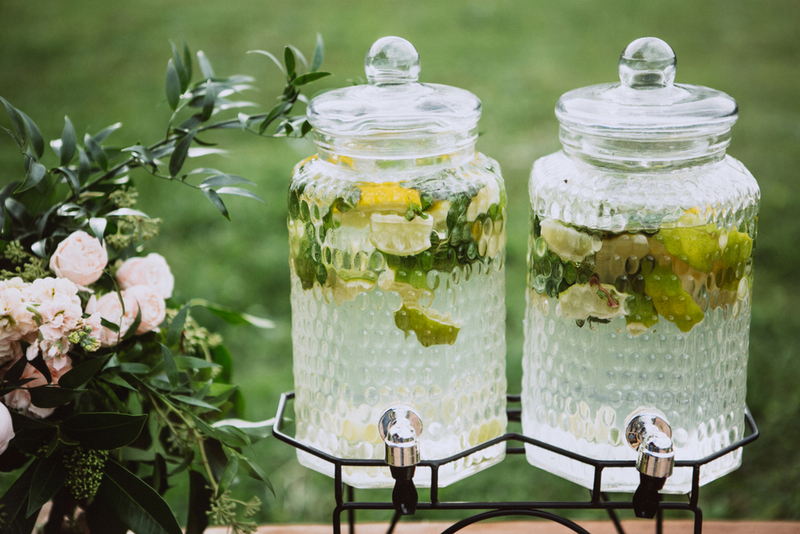 While for grown-ups, cucumber water or elderflower gin make good choices for their fresh, delicate flavours. Just remember to be creative in presentation. The lemonade can be served in jam jars with a straw. Put the gin in tin cups for a vintage vibe. Think outside the glass! A picnic isn’t a picnic without the food, so what to serve must be top of the planning list. A successful picnic feels casual and relaxed, but to create that atmosphere takes time and planning so hot food needs to stay hot and cold food keeps cold. Sounds straight forward, but if you don’t plan how you are going to serve your food, things can easily go wrong and the last thing you want is for any guest to go down with food poisoning. Ham is a brilliant picnic staple because it can be sliced hot or cold and works well with potato and bean salads for a tasty mid-morning brunch. For non-meat eaters Jamie Oliver’s Vegan mushroom, chestnut and cranberry tart makes an excellent alternative. For those who are looking for finger food only, home-made sausage rolls are a favourite filler, and again Jamie Oliver has a good choice alternative in his Vegan Mushroom rolls. A brunch is not a brunch without pancakes! Topped with the kids favourite chocolate and banana, or add smoked bacon and maple syrup for a north American twist. Fruits and berries with a blob of crème fraiche is also a classic. I love to serve smoked haddock kedgeree and smoked salmon with bagles. Something for everyone. One other option….try miniature picnic baskets for two! Filled with chilled goodies to share and a bottle of fizz. Perfect. Our tips for planning an Easter picnic brunch wouldn’t be complete without including the sweeter side of the catering. This is where the real fun starts. 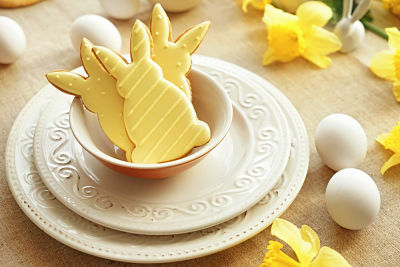 Sticking with theme of the season small character cut-outs of rabbits and chicks can be used on fruits such as melon and pineapple to create cute, healthy bite-sized treats for little ones. For grown-ups, berry cups with a mixture of strawberry, raspberry, blueberry and blackberry, look both colourful and sophisticated. An Easter cake is a must but save the chocolate and colourful sweet treats for the Easter Egg hunt, so children can delight in coming back with a picnic-basket full of goodies. 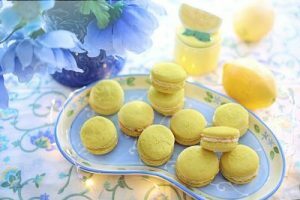 And for a stylish treat, opt for coloured macaroons. Best served with a chilled glass of Champagne. An Easter Egg hunt is still the main event for little-ones, and there are lots of ways to make this fun and decorative. But you may also want to expand the theme with a craft table for egg painting and making Easter baskets. If you want to hire an entertainer, balloonists are a great choice for outdoor Easter fun. 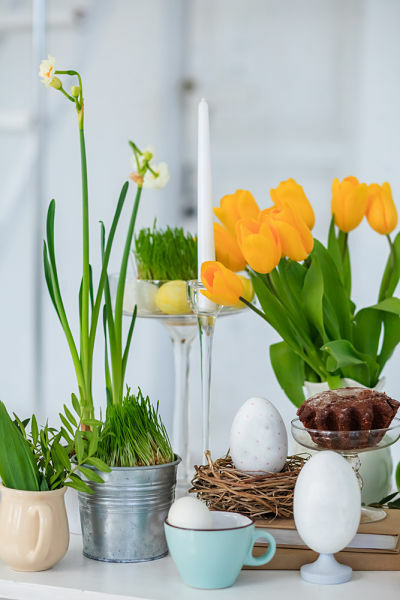 And there are plenty of ways to turn the Easter theme onto popular traditional games, such as pin the tail on the Easter Bunny, having an Easter Egg balloon piñata, and a colourful competition for all ages to guess how many jelly beans are in the sweetie jar. For a more adult occasion, I love music outdoors. Anything goes. A one man band to a contemporary violin quartet. Jazz works well alongside acoustic guitarists. Choose what you love and something relaxing – it will suit the brunch setting and outdoor vibe. For the ultimate wow-factor at a motor-racing themed party you can’t beat having a championship race car parked in the driveway. It’s the ultimate selfie magnet and Instagram winner. Some companies hire out Formula 1 show cars that they will fully customise with your chosen branding. Other companies rent out actual championship cars such as the BENETTON FORD B190B driven by three times F1 world champion Nelson Piquet. 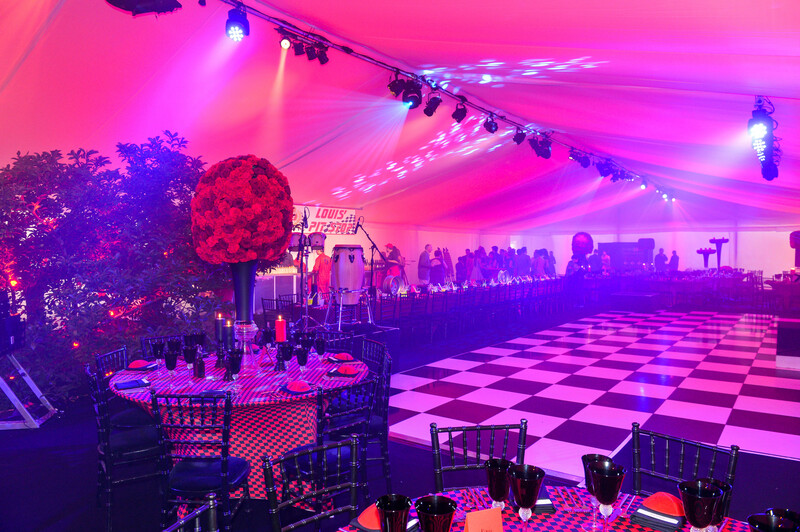 Switching the red carpet for a black and white chequered or race-track runner is a great way to set the scene. Add to the atmosphere by playing the new Formula 1 super-hero style theme-tune as a background soundtrack and everyone will be revving-up to get the party started. Once inside, stick with the chequered theme with flashes of red for the décor. 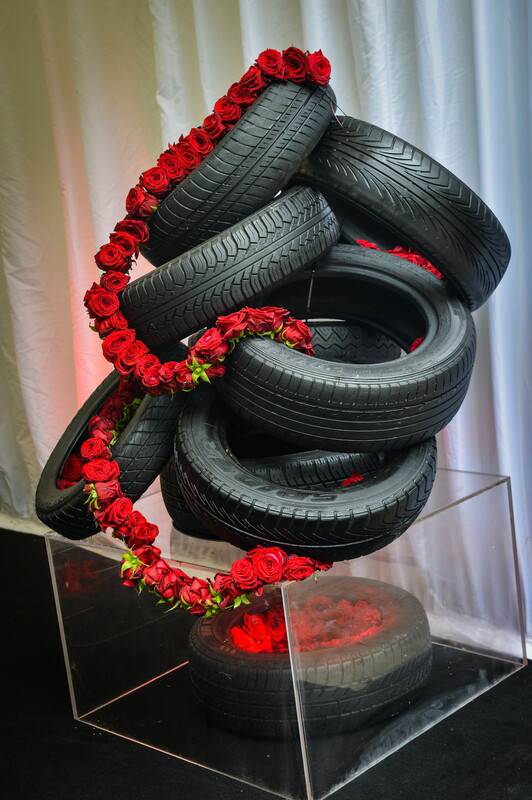 And mix the theme up using tyres for plant arrangements, a chequered dance floor and large trophies as wine coolers. It’s every motor-racing fan’s dream to hit the track in a Formula 1 car. And dreams can come true at your party if you hire a racing car simulator. There are different styles and sizes, some coming as huge outdoor structures with attached awning. Based on real-life Formula 1 race circuits, your guests will get to sit in a race-car seat and take part in simulated race challenges with other guests. Some racing simulators allow for up to 8 guests to race at once. It is a fantastic choice of entertainment for large events and can be used by anyone aged 7 and upwards. 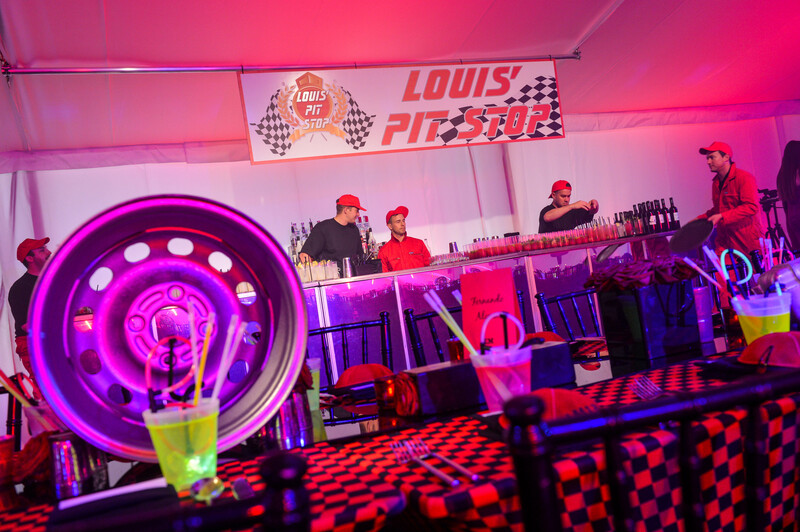 Fourth on our list of five top tips for a high-octane motorsports inspired party, is an entertainment gem. 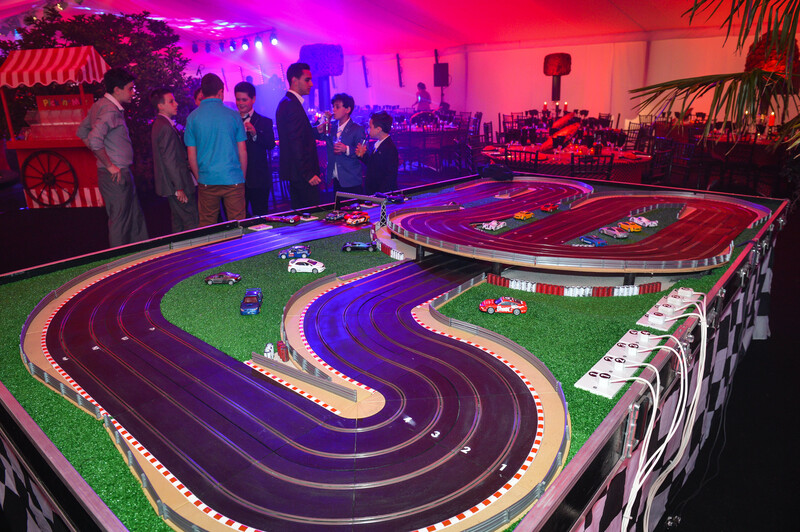 Hiring a Scalextric race track and cars is a great way to get guests interacting. With a wide range of cars to choose you can go for the Formula 1 racers or the old British Rally classics. Depending on your event there are also options to add bespoke branding to both the track and cars. Up to 8 cars can run simultaneously. 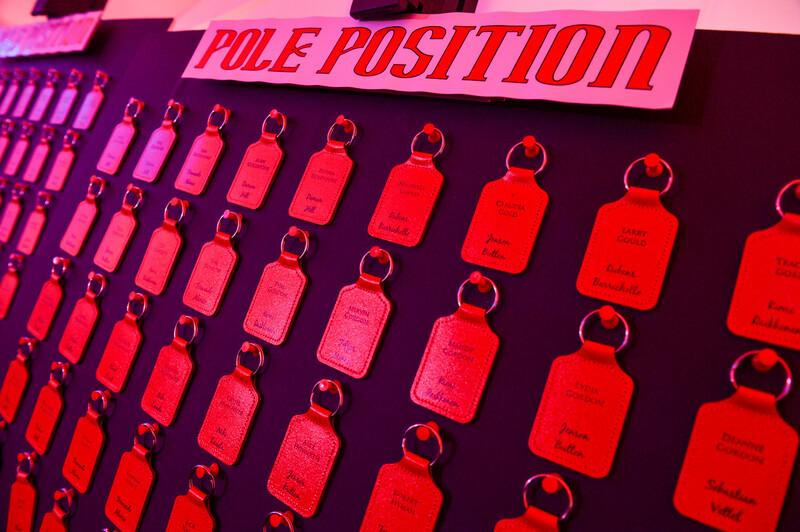 In addition, if you want to up the racing stakes, why not add a fun prize and hire a winners’ podium with chequered backdrop. Outside the racing, this can also be used as a selfie opportunity. And to add to the fun, provide guests with a choice of motor-racing hero card-masks as part of a selfie-prop kit, to liven-up the pics. Social media gold! The wonderful thing about a Grand Prix theme is there are so many brilliant opportunities to build the idea into all aspects of the party to make for a high-octane wheelie good night. So, your buffet tables or food stations become pit stops and refuelling stations. Drinks can be served from petrol-pump style dispensers. 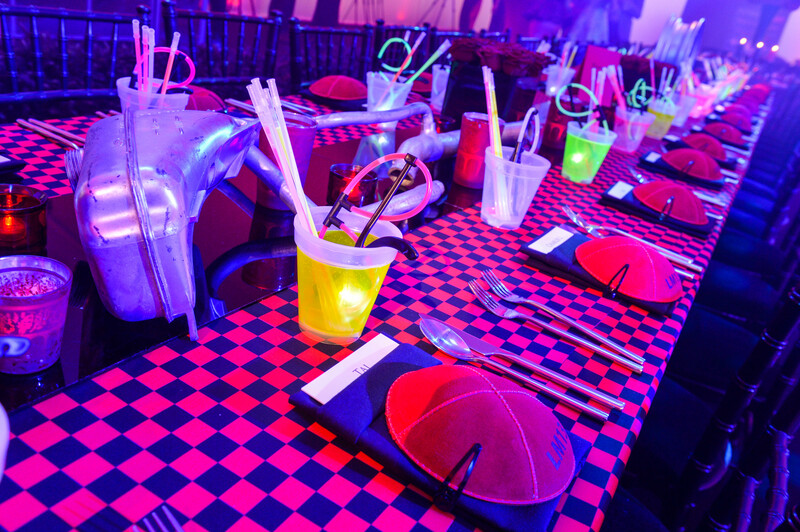 Dishes served from racing helmet shaped food stations. Guests handed steering-wheel designed plates. For quirky food choices we love oil-change, cola jellies and traffic-light fruit skewers. And for the full Formula 1 effect, don’t forget the champagne!